On the night of April 14, 1865, President Abraham Lincoln was shot by the dashing young actor, John Wilkes Booth, at Ford’s Theatre in Washington City. 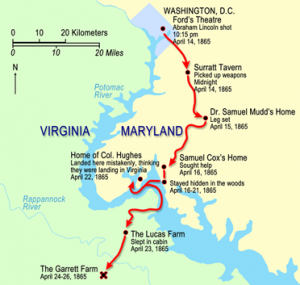 While Lincoln lay dying, his assassin was making his escape into Southern Maryland. Over the next twelve days, Booth and his accomplice, David Herold, were tracked through the lower counties of Maryland and across the Potomac River into Viriginia. They were finally trapped at Garrett’s Farm near Bowling Green, Virginia, where Herold was taken prisoner and Booth was shot and killed by federal troops. Herold was hanged along with Mary Surratt on July 7, 1865. 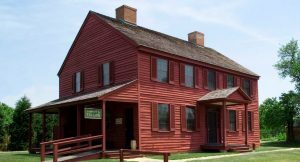 John Wilkes Booth Escape Route Tour – The Surratt Society sponsors tours each fall and spring along Booth’s escape route. 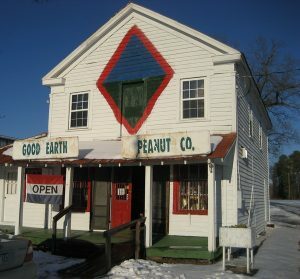 Many of the same roads and houses used by Booth are still in existence and are visited on this excursion which is narrated by nationally-recognized authorities on the Lincoln assassination and John Wilkes Booth’s flight. 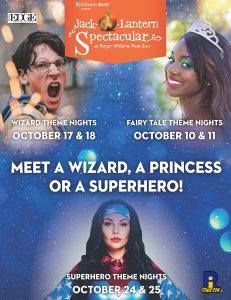 12-hour, fully narrated bus tour. 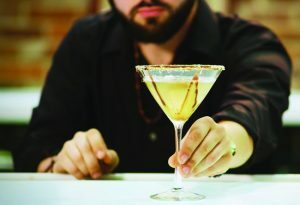 The cost is $85 per person ($80 for Surratt Society members). 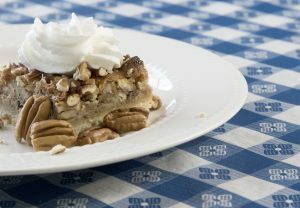 Proceeds go toward the preservation of the Surratt House Museum which was the first stop on Booth’s flight south. 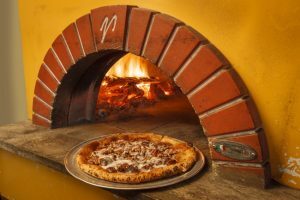 To reserve your spot fill out this form. The Lewis Ginter Botanical Garden is an oasis on a driving trip – 82 magnificent acres which started life as Powhatanhuntinggrounds and was at one time owned by patriot Patrick Henry. In 1884, Lewis Ginter, who was orphaned at 17 and later became a millionaire from tobacco and real estate, developed a Wheel Club House here for Richmond bicyclists (now Bloemendaal House). His niece, Grace Arents, developed the gardens, and her original design is still here. 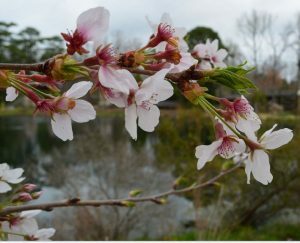 There are more kinds of gardens than we ever knew existed: four seasons, healing, Asian, rose, wetland, azalea and a community kitchen one where they grow food for the hungry. The children’s garden offers up a tree house and an activity center; there’s sidewalk chalk, hula hooping, digging and watering opportunities. They love the Kids Quest treasure hunt. For walkers, there’s a “walk on the wild side” and a bird trail, and as if all that wasn’t enough, there’s a lush indoor conservatory with exotic plants from around the world. 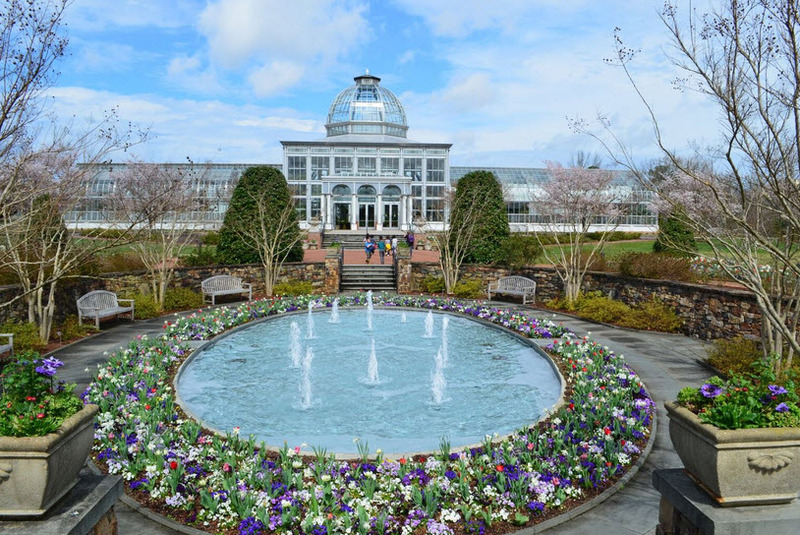 A Million Blooms is included with Garden admission. A parade of blooms unfurls as the weather warms: daffodils, tulips, peonies, roses and more. 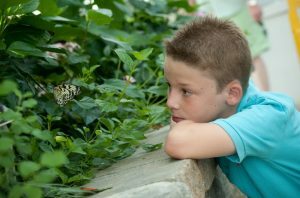 Experience the wonderful world of butterflies! Butterflies LIVE! 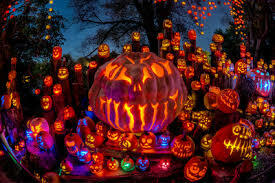 is an indoor exhibit in the Conservatory and is geared for all ages. 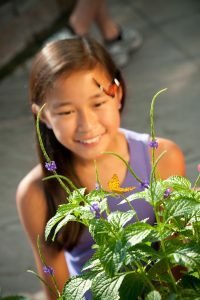 Get up close and personal as hundreds of tropical butterflies feed, flutter and take flight all around you. 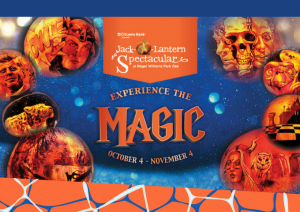 Explore their origins, preferred habitats and life cycles. The long weekend kicks off Friday, May 12 with National Public Gardens Day. 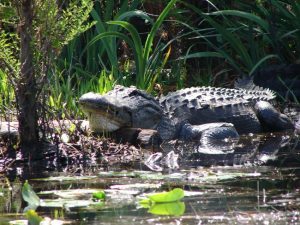 Nature enthusiasts will relish the natural unspoiled and virtually unmarked by man Okefenokee National Wildlife Refuge that was established in 1937 to preserve the Okefenokee Swamp. The refuge encompasses over 400,000 acres of canals, moss draped cypress trees and lily pads which provide sanctuaries for hundreds of species of birds and wildlife. 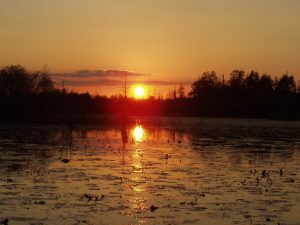 Okefenokee has the great distinction of not only being a part of the National Wildlife Refuge System, but also the National Wilderness Preservation System. Swamp habitats comprise open wet “prairies,” cypress forests, scrub-shrub vegetation, upland islands, and open lakes. Wildlife species include wading birds, ducks, alligators and other reptiles, a variety of amphibians, bobcats, raptors, white-tailed deer, black bears, and songbirds. To assist you on your exploration, Okefenokee Adventures offers a full range of tour options and is located inside the refuge on the historic Suwannee Canal. Canoe, kayak, or boat the mirrored black waters of the Okefenokee Swamp: You can join a regularly scheduled 90 minute guided boat tours, or reserve a 2 hour sunset tour or arrange a half or full day private excursion with an expert, professional guide. Their staff includes well-known authorities on alligator biology, wetland ecology, and Okefenokee cultural history. 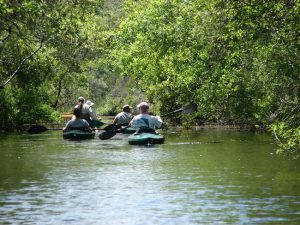 Experience canoe camping in the back-country wilderness of the Swamp interior, or head out on your own in a canoe or kayak. You can bike or drive the Swamp Island Drive, visit an authentic Swamp homestead or walk the nature trails and boardwalk and get bird’s eye views of the swamp from atop the observation tower. 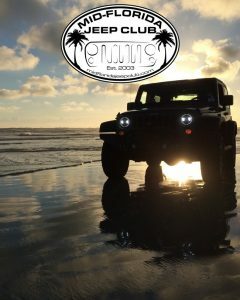 US: Daytona Beach, FL – Calling All Jeep Aficionados… Jeep Beach is the Place to be! Jeep enthusiasts celebrate a passion for off-road vehicles over five days of family-friendly fun for Jeep owners. 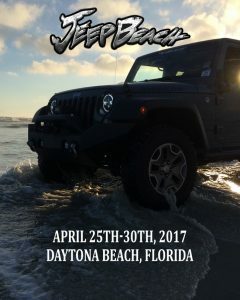 The Jeep Beach event has become the largest Jeep only five-day event in the southeast USA and is held each April in Daytona Beach, Florida to raise much needed funds for worthwhile local and national charities. 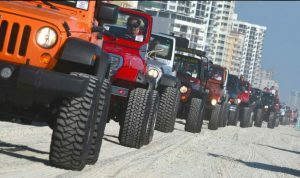 Thousands are expected at Daytona Beach and The World Center of Racing, the Daytona International Speedway for this unique Jeep Extravaganza. Jeep Beach attracts Jeepers and Jeep Industry Vendors from all over the USA, Canada, and even overseas. While appreciating the great weather with like-minded Jeep aficionados, enjoy and partake in the many festivities including: obstacle courses for all levels of drivers, largest Jeep specific vendor show, Beachside Mainstreet Cruise In, clean up at the Jeep-shining show, Pirate Night Themed Kick-off party, Scavenger Hunt, Off Site Trail Rides, Beachside Concert, Block Party and Fireworks, and $150,000 in Raffle Prizes. A short ferry ride transports you to the treasured, pristine Cumberland Island National Seashore, the largest and southernmost barrier island in Georgia, offering visitors over 17 miles of secluded, white, sandy beaches. Preserved and protected for future generations, Cumberland Island National Seashore includes a designated wilderness area, undeveloped beaches, historic sites, cultural ruins, critical habitat and nesting areas. Walk on the footsteps of early natives, explorers, and wealthy industrialists. You can’t explain Cumberland, you experience it. Time moves to the rhythm of nature. On this National Seashore, it is the animals that are the inhabitants and people are only visitors. 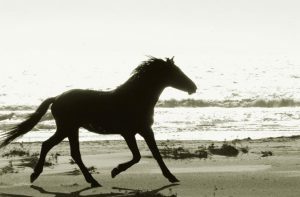 The majestic sweep of deserted sandy beach is dotted with shells and usually deserted, except for the wild horses roaming at will. The dramatic slope of the dunes is a constant work in progress, sculptured by the wind and sea. The inland’s, majestic live oak and palmetto forests provide shelter for the horses, deer, turkey, alligator, armadillo, mink and a tremendous variety of coastal birds. You’ll find campsites, hiking trails and first-come-first-serve bike rentals on the island. There are no amenities on the island beyond the restrooms and water fountains. You should bring lunch and water bottles to refill. The visitor’s center in St. Mary’s, Georgia is the gateway to Cumberland Island. Here you can get tickets for the ferry over to the Island, as well as information about camping permits on the Island. A short ferry ride (passengers only) transports you to the treasured, pristine Cumberland Island National Seashore, the largest and southernmost barrier island in Georgia, offering visitors over 17 miles of secluded, white, sandy beaches. At Domaine Summum in Quebec, they believe that your furry best friends should be free, to be able to enjoy life with you. 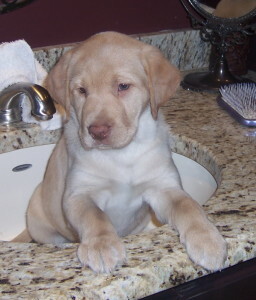 So they can run, bark, romp and roll throughout their hiking trails, and jump, splash and swim in their private lake. Besides the pristine lake. there’s 200 acres of forest, with trails everywhere. Chalets are spotlessly clean and are well-equipped with a complete kitchen, grill, and a fire pit. 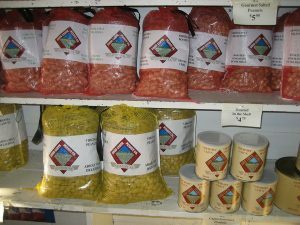 You can order delicious frozen ready homemade meals prepared by their “Top Chef”. 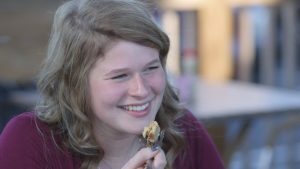 The chalets are near Mont Tremblant Village and St-Jovite so that adds options for dining, hiking, golf, mountain biking and any number of other activities. The owners love dogs (they are breeders of Bernese Mountain dogs) and understand what you need to have a great vacation with your pet running and barking, leash-free! 45 mySQL queries executed in 0.304 seconds.